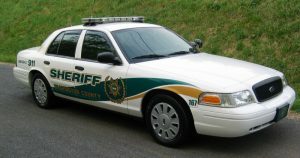 The Washington County VA Sheriff’s Office has received a 2019 Virginia Department of Motor Vehicles Alcohol, Speed, and Occupant Protection Grant. The total amount granted is $85,050. Included in the grant is $56,700 in federal funds, and an additional $28,350 will be raised through fuel costs and vehicle maintenance. According to Sheriff Fred Newman, the funds will be used to provide training, overtime, and off-duty pay for deputies to participate in projects like radar enforcement, Click or Ticket, Checkpoint Strikeforce, and more.